They say diamonds are forever, but are they?! We offer a first-class professional jewellery repair service regarded for its clarity of information, attention to detail and esteemed reliability. Our master craftsmen, Mark and Helen, have over 30 years experience each and specialise in most areas of jewellery repairs. Nearly all jobs are carried out in our in-house workshop giving peace of mind that your belongings are secure and well cared for, as well as knowing the job will be performed quickly and efficiently. For more specialist work Mark has a long established and trusted off-site network of professionals we can call upon. We are very happy to take on repairs or to offer expert advice on the condition of your jewellery. Please visit us in store for a non-obligation quote (there are no charges for these estimations) where we can also give you a clear and accurate time for when your repair can be collected in perfect working order. Always keen to embrace pioneering technology, we are proud to have used lasers in our repair and manufacturing process within our workshop for nearly a decade now. Having mastered its usability, we are able to make sophisticated jewellery repairs that are not possible with traditional methods used by most other workshops. Laser welding of precious metals offers high-quality invisible joining in platinum, gold, silver. Using filler wires of the same material, strong joints can be achieved without compromising quality or speed. As the laser beam is so localised we can repair damaged jewellery without removing heat-sensitive stones which makes the task much easier and faster. For repair jobs such as re-sizing, re-tipping, repairing cracks and so much more it has revolutionised our highly regarded service. There can be many factors that require a ring to be carefully cut and resized so that it doesn’t become permanently and uncomfortably attached or in contrast risk falling off the finger. Perhaps the surprise engagement ring is not an ideal fit, the wearer’s hands have become larger or slimmer over the years, medical factors have arisen such as arthritis in the knuckles or family heirlooms and vintage rings need altering to fit their new owner/bride. Thankfully we have the skills and necessary equipment in our on-site workshop to help rectify any problems. As with much of our repair work, we use our state-of-the-art laser to re-weld the join leaving a seamless finish so there is no visible indication of any sizing. The cost of resizing is dependant on how many sizes up or down the ring needs to go and also the alloy of metal in your ring. Resizing is usually limited to 2-3 sizes in comparison to its current size as any further adjustment may compromise the ring’s strength and appearance. Rings inlaid with multiple stones such as eternity rings also bring with them limitations. We recommend bringing your ring into the shop so we can measure you finger and discuss in person the best way to go about the alteration. Many people have unused or inherited jewellery that is not to their personal style, whether it’s been handed down through generations or simply that they’ve outgrown their previous taste. The jewellery is usually locked away until the temptation is to sell the item even though the purchasers will normally offer the scrap metal value, despite the incorporation of gemstones being in perfectly good condition. Our reputation for bringing new lease of life into abandoned pieces is second to none and we highly enjoy this transformation process. As with the restoration process, with over 36 years experience in this sector we take great pride in restoring our clients sentimental items carefully by hand back to their original beauty. An accurate valuation is priceless as it should contain all the information necessary to replace your treasured item should it ever be needed. Most insurers will require a jewellery valuation of no more than 3 years old from an accredited jeweller or independent valuer, for each item over £1,000, showing a full description and replacement value. Should you need a valuation please bring the item(s) into the shop. This involves inserting each gemstone into a specially created framework ensuring it is fitted securely and allows sufficient light to enter the stone. Mark’s attention to detail and desire to produce work that is truly top quality has guided him to learn and refine revolutionary techniques only undertaken by few. 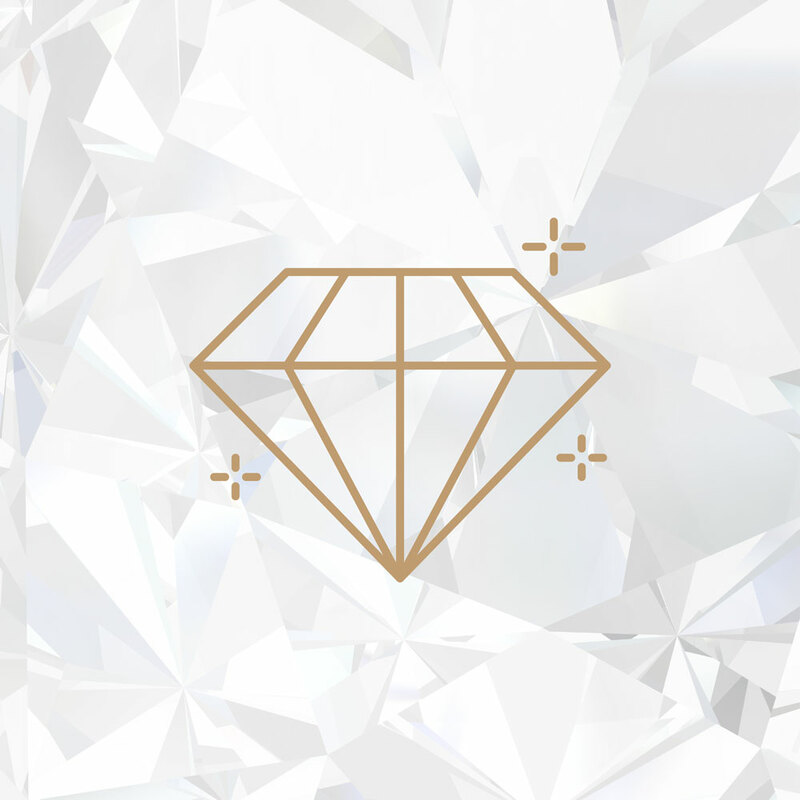 Using traditional skills with modern methods to achieve ultimate efficiency and precision, we offer a diamond setting service that is bespoke to your requirements. From micro-pavé to collet settings, all our diamond and gemstone setting is done under a microscope to ensure the highest accuracy and that perfection is met. Unfortunately over time gemstones can become scratched, chipped or broken. Mohs hardness scale which is a worldwide reference to understand gem durability ranks all gems from 1 (least hard) to 10 (hardest of all). Even diamonds which are the hardest natural material in the world and ranked top of the scale at 10 are not indestructible and should still be worn cautiously. With precision and skill the gemstone cutter helps to unlock the beauty of the natural crystal whether its re-polishing each flat facet or recutting the stone entirely. Restoring the vibrancy of colour is of upmost importance so whether we’re repairing or replacing a damaged gemstone we can help give a fresh look and breath new life into your jewellery! We offer a full restringing service of all pearls utilising the traditional method of hand knotting, usually using silk thread. The best way to maintain the lustre of any pearl is by wearing the pearls and allowing the skins natural oils to be absorbed. Unfortunately over time the silk string will most probably break from being exposed to abrasion from bead holes, body oils, cosmetics and natural wear-and-tear. This is why we recommend cleaning and restringing to be undertaken every 12-18 months, to avoid the strands fraying then breaking at an inconvenient time or in a troublesome location. We will count and record the number of pearls on your repair paperwork when you leave your necklace/bracelet with us, this is for your security and peace of mind. When it comes back from the workshop we suggest you lie your pearls flat when storing them as it reduces stretching and stress of the string. We can also supply pearls to match if any are damaged or lost and have a large selection of pearls in stock. Hand engraving is a great way to make a piece of jewellery truly personal, be it presentational, sporting, commemorative or heraldic, you will not find a more enriching method. We very much believe it is one of the most thoughtful additions to any jewellery, especially when gifted or of sentimental significance. Using hand held gravers (chisels) that have remained unchanged for hundreds of years the metal is meticulously pared away, in doing so bringing the design to life. Perfect for intricate designs, it is a highly specialised skill for which we outsource to one of the top master engravers in the country so you can be assured your work is in the most skilled of hands! Whether it be beautifully intertwined initials on a signet ring or a small heartfelt message inside a wedding ring, an engraving really adds that something extra. Today a signet ring is worn as more of a fashion item though typically bore a family crest, being worn with pride and privilege for those entitled to bear arms. A popular alternative to this historical tradition is the option to engrave a unique and personal symbol whether it be from a simple reference or a decorated full coat of arms to represent the individual. Seal carving is deeply engraving (in reverse) into the signet ring or desk seal to produce a wax impression of the design so that it appears the correct way round and is slightly sculptured with fine detail when pressed into wax or clay to create the personal seal, or signature. The finished seal carved signet is supplied to your finger size and is presented with an encapsulated wax impression of your seal engraved design. Be sure to keep this safe as it is an excellent artwork reference of your signet ring just in case you or future generations would like to have another one made. If you’ve got it, flaunt it!! In an era where social media is booming and a strong visual impact is everything, never has there been such a time to get your finished pieces out there into the public eye and boost brand awareness; The more amazing your items look, the more people will want them! Whether it’s for consumer and trade magazine advertising, in brochures and on websites, point of sale displays or exhibition posters our exclusive method and highly polished set up is perfect for capturing your consumers imagination with these detailed images. We are proud to offer our top service to fellow jewellery business and help them to promote their products. Spoil them for choice with our personalised gift vouchers. Available from £10 to £5000 with no time limit on their use the recipient can choose an item from our eclectic range of gold, platinum and silver jewellery or commission a bespoke piece of jewellery that they have always wanted. With a variety of styles to suit all tastes and budgets its the perfect answer for those “I don’t know what to get them” moments! Please get in touch to see if we can help with your specific requirements.